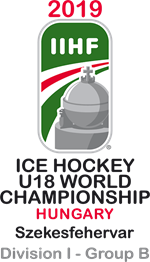 Great Britain U18 Women beat Australia U18 Women 5-1 to secure their first victory at the 2018 Under-18 World Championship Division 1 Group B in Katowice, Poland. Emily Harris scored a goal and contributed two assists, Kaitlyn Morrison was named as GB’s player of the game and netminder Maisie Gilbert turned away 18 of the 19 shots she faced. A tight opening period saw limited chances for both sides with Emily Johnson going close for GB, while Emily Harris fired wide and had a close-range shot saved by Australia netminder Imogen Perry on the same shift. 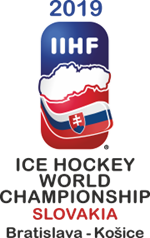 The game exploded into life with three goals in four-a-half-minutes which saw GB take a 2-1 second-period lead. Emily Harris fed Lizzie Saunders on a two-on-one breakaway to put GB ahead at 22:05, before Australia hit back on the powerplay as Britain’s lead lasted only 94 seconds. Moments after Shiarna Tarasenko hit the crossbar, Sara Sammons pounced from close range to equalise (23:39). GB went back in front with a clever shot from Emily Harris across the Perry from the right circle (26:48). Strong work from Chloe Riley to chase down the puck left-hand side set up the chance for GB’s third and her pin-point pass freed Lucy Beal to fire past Perry (43:57). GB made the game safe with two goals in less than two minutes as first Ellie Wakeling touched in a pass from Emily Harris during a spell of four-on-four hockey (54:15) and Riley reacted first to a loose puck in the slot (56:07). Gilbert made a good save from a shot by Madison Poole as the clock ticked down to cap another impressive performance from the GB netminder. GB head coach, Cheryl Smith, said: “We have been building to this result all weekend and it was fully deserved. “The coaching staff are so pleased for the girls as they have worked so hard. “The key tonight was that they were patient and when they got the big chances, they took them. Denmark and France lead the table after three games with both having nine points out of a possible nine, although the Danes top the group because of their superior goal difference. GB are fourth, three points behind hosts Poland. There’s no action tomorrow but GB return to action on Thursday as they face China U18 Women at 8pm (7pm UK time).